Stop suffering now, by calling our emergency dentist Waukegan IL Hotline! 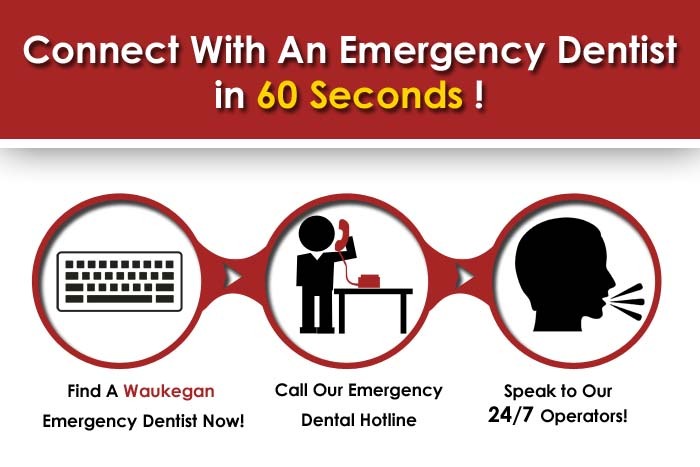 Find an emergency dental clinic in Waukegan quickly and easily! We never know when we might be faced with a dental emergency, such as knocked out teeth, bitten tongue, chipped teeth, gum bleeding, etc. These sudden injuries can cause panic in any parent of young children and caretakers of the elderly. However, quick thinking and staying calm are the best ways to approach dental emergencies and prevent additional damage that might need costly restoration in the long run. In such a situation, visiting an emergency dentist can solve the problem before it escalates further. Emergency dentists are essential service providers in any city. Their offices remain open 24/7, giving us a chance to visit with sudden emergencies at the dead of the night or on weekends. 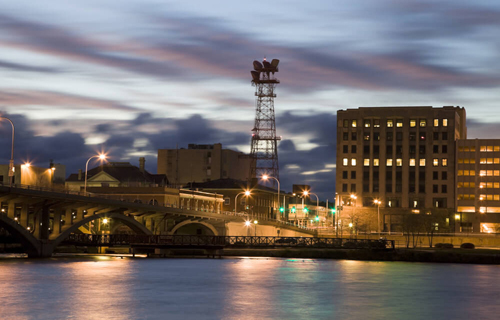 The county seat of Lake County, Illinois; Waukegan has a population of 88,826, making it the ninth largest city in Illinois. It also happens to be the fifth largest city on the Western Shore of Lake Michigan. In a city of so many people, it is evident that emergency dentists are always busy and highly prized. Thankfully, there are many emergency dentists available near your locality. You never know when you might need their services, hence it is best to note down their contact details for future reference. Below is a list of emergency dentists in Waukegan. Description: You can call 24 hours a day and 7 days a week to speak to an after hours dentist by using our emergency dentist Waukegan hotline. Whether you are looking for a dentist that is open on the weekend, or even a walk in emergency dentist, we’ve definitely got you covered. Our partners maintain a relationship with scores of dentists all over the country. Description:Greenbay Family Dental provides a wide range of dental services as well as flexible insurance and payment options. Cleanings and exams, root canal therapy, teeth whitening, periodontal treatments, tooth colored fillings, sealants and fluoride, crowns and bridges, porcelain veneers, and dental implant restoration are some of their services. They are located at 2233 Greenbay Road and you can call them at 847-689-2900. Description:A family dentistry located at 3461 Sunset Avenue, it offers a full range of general and cosmetic family dentistry. Dr. Cheska Avery promises quality care in a comfortable setting. There is a Lifetime Treatment Plan that patients can avail that can offset the possibility of unforeseen pain or tooth breakage. Call them today at 847-662-6080. You can also request an appointment through their website. Description:With more than ten years of experience in serving the residents of Lake County, Beautiful Smiles Dental Center believes in healthy smiles that boost confidence. Here, the patients are offered a plethora of dental care services, such as cosmetic dentistry, general dentistry, implants, invisalign, whitening, and of course, emergency dentistry. The office is conveniently located at South Greenleaf Street. Call them today for more information, to book an appointment, or during emergencies at 847-505-0362. Description:The office of Michael Papendick, DDS, is committed to the optimal dental health of patients and families. Their services include athletic mouth guards, cosmetic veneers, sleep apnea, gum disease treatment, and TMD TMJ Treatment among others. It is located at South Green Bay Road and you can call them at 847-752-4361 to book an appointment or for more information. Visit the Waukegon chamber of commerce.